As the Conservatives establish a commission to examine plans for a flat tax, one of the authors of the original idea says it will not work any more in Britain. Flat taxes have become fashionable again, with many Eastern European countries adopting the plan and conservative think tanks advocating such a system for the UK. Brian Reading, "Flat Tax - An idea whose time has gone"
"I am fully conscious that we may not be able to introduce a pure flat tax, but we may be able to move towards simpler and flatter taxes," Shadow Chancellor George Osborne said during last week's Conservative Party conference. The idea of a flat tax is that by eliminating higher rates of tax, people will work harder and the total tax take by government will rise. Under a proposal made earlier this year by the Adam Smith Institute, a UK flat tax would be set at the current basic rate of 22%. But the personal allowance would be substantially increased to £10,000 - £15,000 (compared to the current rate of £4,345), taking more people out of income tax entirely. WHO HAS ADOPTED FLAT TAXES? The authors of report estimate the cost of this proposal at between £42bn and £63bn, which they say can be covered by savings in government bureaucracy and the increased yield due to decreased tax avoidance and greater work incentives. The Treasury, on the other hand, has publicly rejected the idea as expensive and unfair. Supporters of the proposal claim that the government's own research into the subject - published under the Freedom of Information Act - showed that officials had at least considered many of the principal arguments for the measure. But now support for the Treasury view has come from a surprising source. Brian Reading was an economics advisor to Shadow Chancellor Iain MacLeod in the 1960s and to the Conservative government of Ted Heath in the 1970s. The Tories say a flat tax deserves "serious consideration"
He worked on plans for tax reform, including flat taxes - some of which were embraced when Mrs Thatcher came to power in 1979. He now says that because of tax simplification that has already taken place, introducing a flat rate tax in Britain "would be political suicide", because the number of losers would far outweigh the winners. 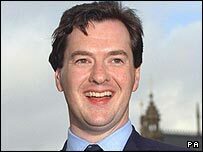 According to Mr Reading, the actual average tax rate paid by the 30.5 million income taxpayers in the UK is 18.3%. But that would produce 27 million losers. Only the top 10%, the 3.5 million people who pay the higher rate of tax, would gain from the plan. "No politician could contemplate a reform that hurt so many or cost so much," Mr Reading writes. Mr Reading also argues that, given that there are nine losers to every winner from the flat tax plan, it would be "impossibly expensive" to adjust the tax rate or personal allowances to make sure there were more winners than losers. He says that flat tax rates would have to be set at 13%, at a cost of £20bn - £50bn (depending on whether other tax breaks were eliminated), to make sure that at least 50% of taxpayers were better off. And he says raising personal allowances to £7,500 would cost £10bn, but would still leave 25 million losers. Mr Reading says that the fundamental reason that flat taxes will not work in the UK is that "most of the potential gains were exploited under Thatcher in the 1980s" when the top rate of tax was reduced to 40%. The income tax base has also been widened in the last 20 years, as major tax reliefs on mortgage interest, marriage and alimony were eliminated. 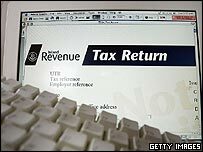 These changes mean that the top 10% of taxpayers are already paying half of all income tax revenues - a dramatic increase from the 1960s when there were penal rates of higher tax, leading to widespread tax avoidance. Mr Reading believes that there is a case for tax simplification - but of taxation on wealth, not income. He suggests eliminating all taxes on wealth, such as capital gains, stamp duties, and inheritance tax, and replacing them with a 1% wealth tax on assets over £200,000. And he reveals that the Conservative research department had examined wealth taxes in the 1960s, but "it was thought so socialist that we dared not hint it had been considered". Underlying the debate on flat taxes is a broader question of whether the state takes too big a role in the economy. Advocates of the flat tax, like Reform's Chris Gent, the former head of Vodafone, argue that reducing the role of the public sector is the key to increasing economic growth, by giving greater incentives to private enterprise and wealth creation. Sceptics, such as the left-leaning Institute for Public Policy Research (IPPR), say that tax reliefs - for example, for the cost of child care - are useful and necessary. And they argue that the experience of Eastern Europe, where income taxes had never been fully collected, are very different from that of the UK. "The apparent objectives of a flat tax are thoroughly desirable, but the flat tax itself is a poor way of achieving them," the IPPR's Dominic Maxwell and Rachel O'Brien said in a recent analysis of the flat tax in Eastern Europe. Brian Reading, "Flat Tax: An Idea Whose Time Has Gone", in Lombard Street Research Monthly Economic Review, September/October 2005.